Remember that song from Sesame Street that went, “one of these things is not like the others, one of these things just doesn’t belong”? The skit usually had four things on the screen and one of them didn’t match the other three. As a kid I always liked that part of the show. It had a cool jingle to it and Big Bird normally wasn’t part of it, a win-win in my opinion. In fact, let’s play a round of that game right now: Tom Cruise, Mark Walberg, Will Smith, and Rob Krider. 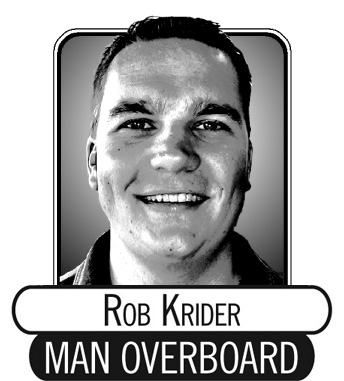 If you thought Rob Krider doesn’t belong because he isn’t an actor, you’re wrong. The answer is actually Will Smith. In that list of men, the Fresh Prince of Bel Air was the most different one—not because he’s black, you racist, but because he’s taller than 6 feet (two inches taller to be exact). All of the other actors are in the 5-foot-7 to 5-foot-8 range, making me the tallest of the shorties. Take that, Marky Mark. “Rob, you’re not an actor. You’re a writer—and barely one at that,” some may say. 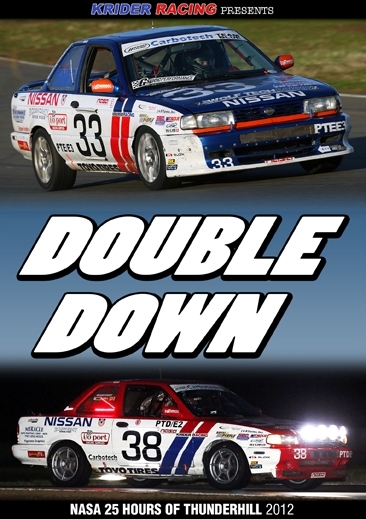 But the fact of the matter is that I’m actually in a feature-length documentary about auto racing called Double Down. It’s true, just search Krider Racing Double Down on Amazon.com and get out your credit card. For better or for worse—mostly worse—a film crew followed me around during the 25 Hours of Thunderhill auto race to capture my team experiencing the longest road race in North America. The film shows me and my teammates cobbling together our two racecars for the race, road tripping to the event, and then trying to survive 25 consecutive hours of grueling, on-track battles. Rumor has it one of the drivers—I’d rather not say which—might have blown up an engine during the race (SPOILER ALERT: It wasn’t Walberg, Cruise, or Smith). DIRECTOR: You drove the car off the track in a pretty spectacular fashion. ME: We don’t call it spectacular in racing. We call it an accident. DIRECTOR: The exterior camera didn’t catch the whole shot because it was at night when you went off. Could you try it again when the sun comes up? ME: I’m going to do everything in my power not to try that again. We want to win the race. DIRECTOR: I want you to win the race, too. It would be good for the film. But if you aren’t going to win, could you crash the car some more? ME: There are 68 cars on the track going more than 100 miles per hour in the dark while the drivers suffer sleep deprivation. The chances are pretty good that something will get bent. DIRECTOR: Excellent. Let me know when that will be so I can get the cameras out there. ME: It will be sometime between now and when the checkered flag falls in 11 more hours. The film crew learned a lot about racing, such as the car can’t be stopped during the race to add a camera. The racers learned a lot about filming, namely that the camera really does add 10 pounds, even if you’re already 10 pounds overweight. Somewhere in the middle, the film Double Down was created. Acting is not an easy job, even if it means acting like yourself. I have a whole new respect for talented actors, directors, and editors. The editor is the person every actor needs to make his new best friend. The editor can make you look like a stud or like a moron. It just depends on whether they like you. After we wrapped filming in December 2012, I didn’t see a print of the film until September 2013. Apparently the footage needed to be shipped around the moon and back before they could actually work on the movie. The first time I saw the documentary, I wanted to kill myself. I’m a lot fatter and I cuss a lot more than I realized. Then I learned that the editor likes bagels. I bought him a lot of bagels and made sure he edited out most of my moronic scenes. After the final cut, I come across not as an idiot but as a foul-mouthed, overweight racecar driver, which in reality, is what I am. Rob has watched the film 152 times… this week alone. 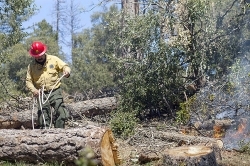 He can be contacted through the managing editor at aasman@santamariasun.com.